Jay Waltbillig and Brian Hood of Waltbillig & Hood General Contractors; Mark Fisher, senior project manager, JBG Design & Development; Tim Getty, national director of sales and marketing, The Goodman Group; Shane Goodman, president, JBG Design & Development; Craig Edinger, CEO, The Goodman Group; Jay Salmen, trustee; and Burt Elmer, director of architecture, JBG Design & Development. 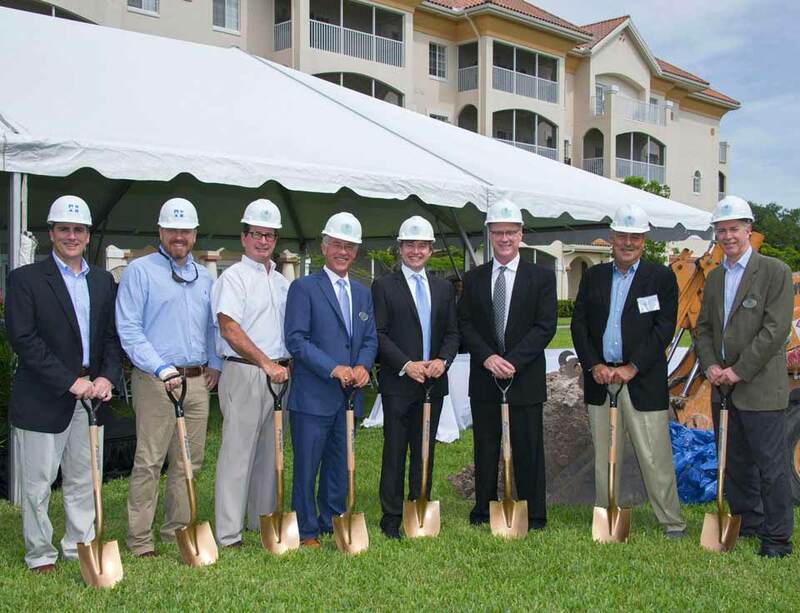 Representatives of The Goodman Group gathered with residents and family members, development, construction and design partners on July 14 for the ceremonial groundbreaking of Gardens at Terracina Health & Rehabilitation in Naples. The 30-bed, 30,000-square-foot Medicare-certified transitional care unit on the Terracina campus is scheduled to open in late summer 2018. The current campus includes Terracina Grand, an independent and assisted living community built in 2001, and Villa at Terracina, a stand-alone memory care community built in 2015. Gardens at Terracina Health & Rehabilitation will combine the latest in rehabilitative and skilled nursing within a healing, spa-like environment. Unique spaces will be designed for physical, occupational and speech therapy. In their large private rooms, guests will enjoy full-size bathrooms and kitchenettes; an open-concept kitchen and bistro will serve meals. Guests are typically admitted to a transitional care unit for post-acute hospital stays when they require additional days for rehabilitative therapy and care to regain the strength to successfully be discharged home or to a higher level of care. The average of length of stay can range from 15 to 20 days, depending on the individualized care plan. 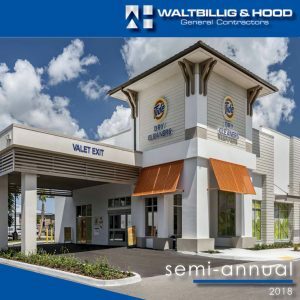 The Minnesota-based Goodman Group is a privately held company with 50 years of experience overseeing communities with more than 13,800 residents and 4,300 team members in 10 states. For more information, visit www.thegoodmangroup.com.